Size matters! 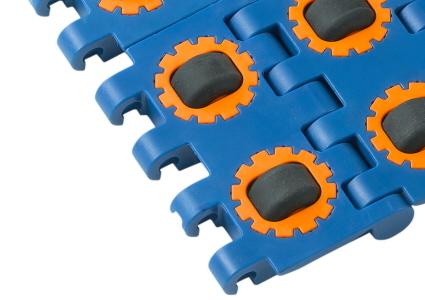 The smallest pitch modular belt in our product range. Great for conveying small bakery products and/or delicate goods smoothly. Open area, cleanable small pitch belt. 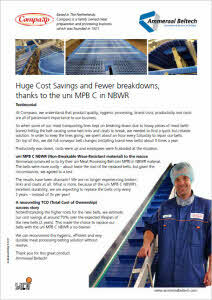 A perfect solution for food processing (cooling, freezing, drying or proofing applications). Improved non-stick characteristics and reduced friction with standard POM-D and PP materials. 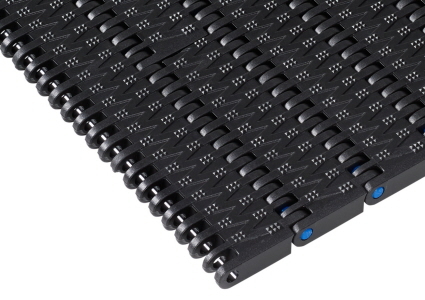 Universal small pitch belt for food and industrial applications. Ideal for transporting and processing applications needing small in-line transfers. 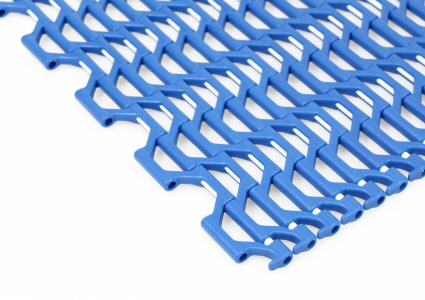 Good option to replace old (and often dirty) steel wire mesh belts. Open area 0.5 inch pitch belt system suitable for food and non-food applications needing small transfer gaps. 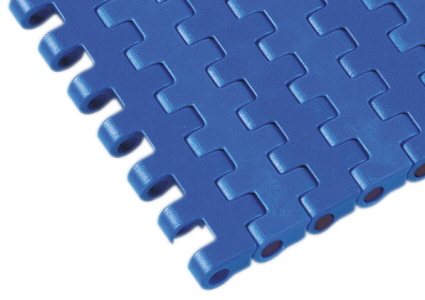 Universal small pitch belt for industrial and packaged products transportation. 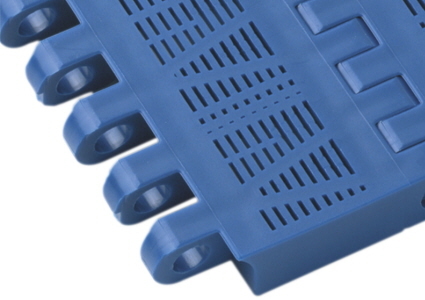 Open 1 inch pitch belt with a very cleanable design for a variety of applications mainly in food and beverage. 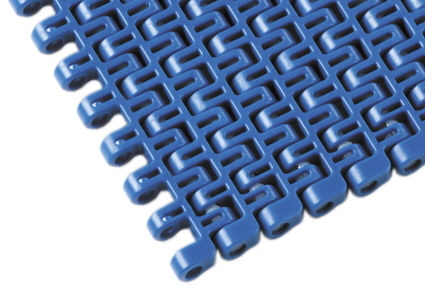 Strong hygienic 1 inch pitch belt suitable for raw food processing applications. Is available in the unique uni Single Link® format. Very easy to clean 1 inch pitch belt for conveyance of light duty products in various food applications. 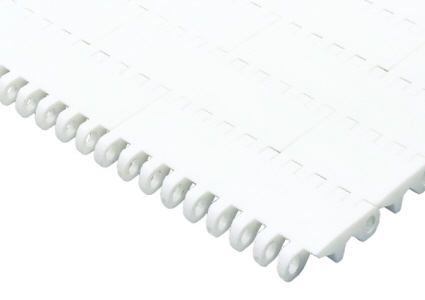 Standard 1 inch pitch closed belt for reliable conveying in a multitude of industries. Developed with focus on optimizing strength, rigidity and wear life. Standard belt for Corrugated Board Industry stack handling systems. Light duty 1 inch pitch people mover belt, ensuring that workers are transported at the same speed as the product being assembled. Moving people safely with ‘gentle grip’ belt profile. 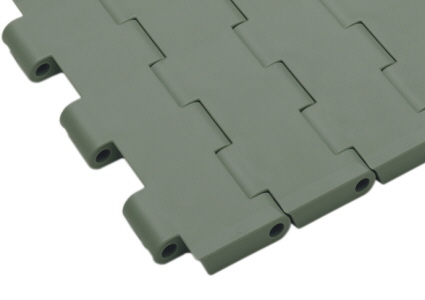 Features a safe walk surface, high tensile working load capacity and rigidity and is low friction and wear-resistant. 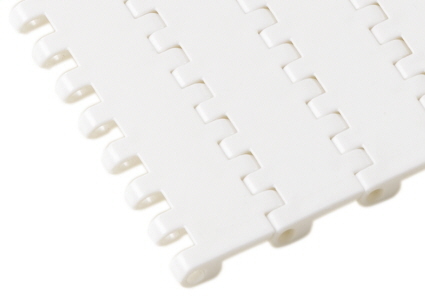 Very open 1.1 inch pitch belt with a patented non-stick belt surface created for applications requiring large open areas and little product contact. 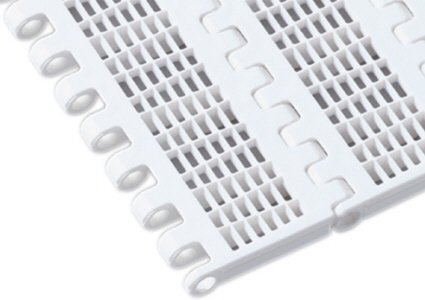 1.5 inch pitch belt designed for light duty applications such as cooking, blanching and pasteurizing in the Food Industry. 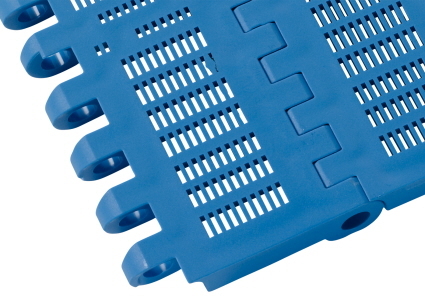 Developed for heavy duty applications such as accumulation tables and packaging application. 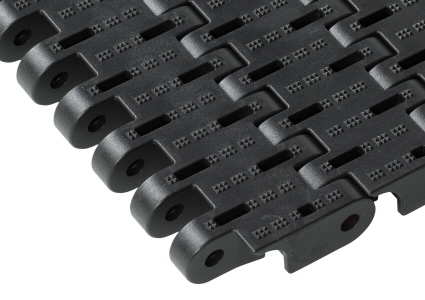 The next level in automotive belting – the Advanced Concept Belt. 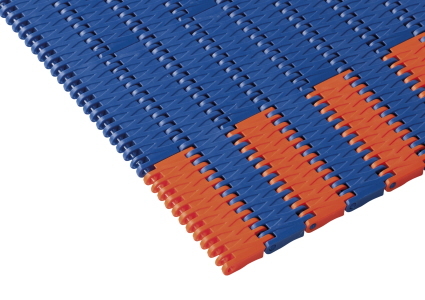 Versatile 40mm pitch belt used for medium duty vehicle and people conveying solutions. 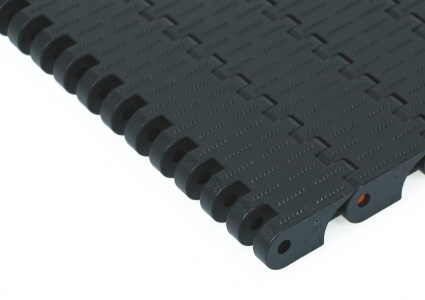 Early generation 50mm pitch belt, available in a variety of executions. Designed for high performance with various food products, especially for cooking, blanching and pasteurizing. 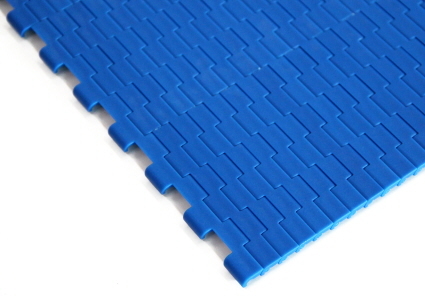 Easy clean, very open 2 inch pitch belt for various industries. The most cleanable straight running 2 inch pitch belt in the world! 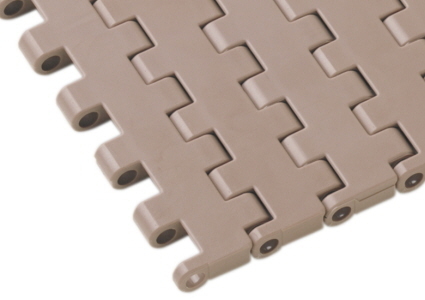 Cleanable versatile 2 inch pitch belt series for a variety of applications mainly in the Food Industry. 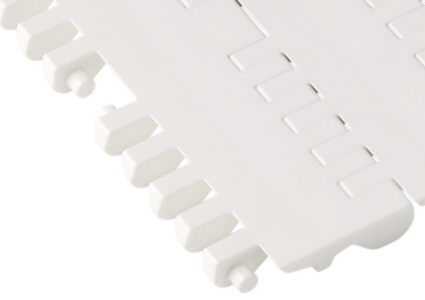 Closed, easy clean 2 inch pitch pinless belt - uni Snap Link® design takes hygiene & cleanability one step further in cutting lines. 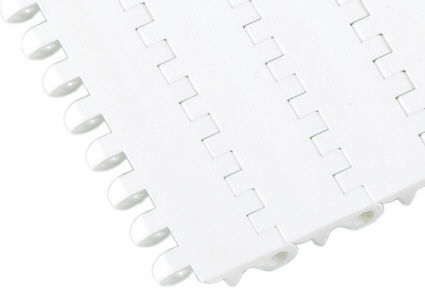 Open 2 inch pitch belt specifically designed for cooking, steaming and blanching vegetables. 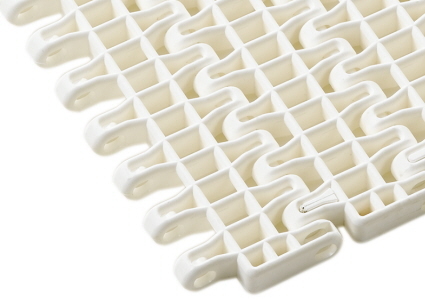 A unique combination of materials prevent belt elongation and strength reduction even in high temperatures / boiling water. State-of-the-art, very strong and versatile 2 inch pitch belt. Specially designed for the automotive, ’heavy load’ conveying and people moving industries. 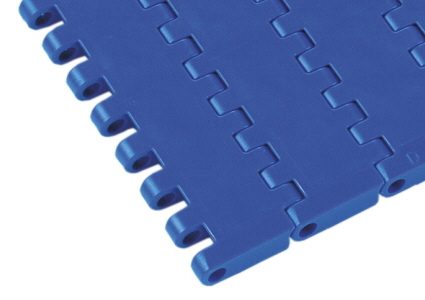 Versatile 2 inch pitch Roller Top Belt available with a variety of roller top surfaces. Flexible and reliable handling solution for conveying products. Strong 2 inch pitch belt used in medium / heavy duty conveying in a variety of different industries. 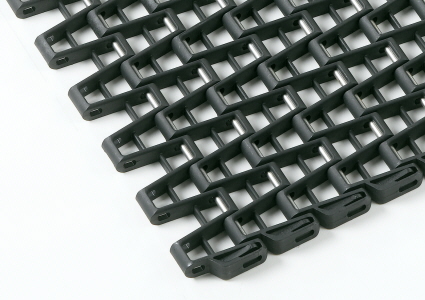 Can replace steel slat top chains and other technologies being used for high wear or heavy duty applications. 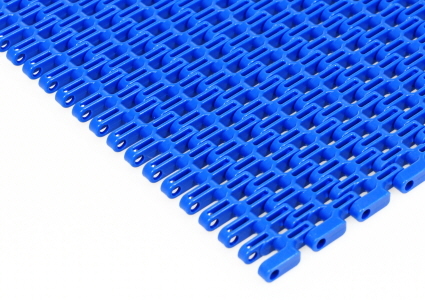 Cleanable, strong 2.5 inch pitch belt equivalent of our MPB series. 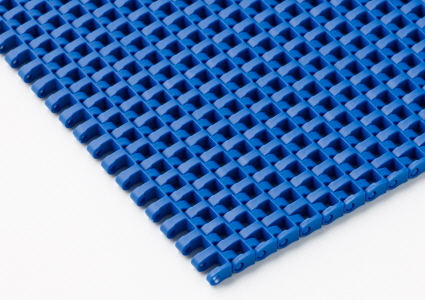 For applications where standard 2 inch pitch belting turns out to be too light. The strongest belt in the “uni-verse”. 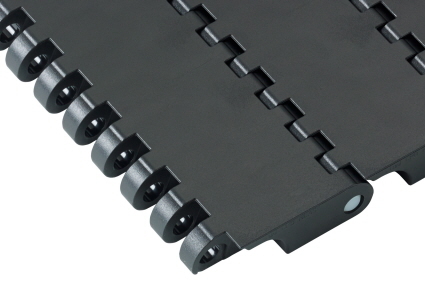 Early generation 2.5 inch pitch belt designed for heavy duty conveyors. 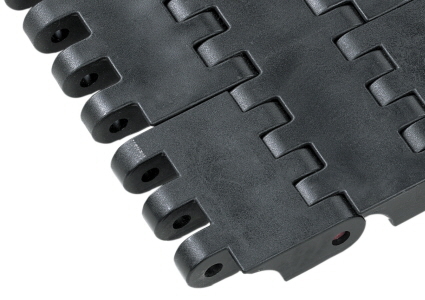 The perfect belt to replace steel slat top chains, drag chains and other technologies used for high wear or heavy duty applications.